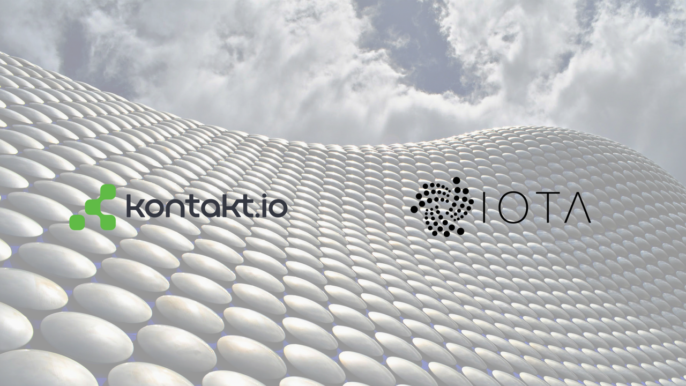 Today, Kontakt.io, the leading IoT (Internet of Things) location platform provider, announced a collaboration with the IOTA Foundation, a non-profit open-source foundation behind IOTA, to integrate IOTA’s next generation distributed ledger technology with Kontakt.io’s location platform. The integration will enable tamper-proof and chargeable readings of smart sensor data. This will equip healthcare operators and supply chain firms which monitor environmental conditions for compliance reasons with fully transparent ways for storing and reporting on telemetry data. Numerous publications have covered potential advantages of combining blockchain and Internet of Things technologies but there have not been many large-scale deployments to back up the theory. The partnership between Kontakt.io and IOTA is going to bring a concrete solution, designed specifically for condition monitoring and asset tracking. For all healthcare operators and logistics companies globally, monitoring temperature, humidity, and other environmental factors is becoming increasingly important for risk management, compliance, and ensuring a high quality of goods and services. Existing condition monitoring solutions require that data stored in sensors is either collected manually or relayed to the cloud. In both cases, it is possible and often easy to manipulate the records, which raises questions about security and reliability of such data. By leveraging mechanisms of Distributed Ledger Technology, the Kontakt.io and IOTA solution is going to ensure that device-to-device and device-to-cloud communication of telemetry streams is encrypted and the data itself is unalterable. Manufacturers, carriers, inspectors, technology providers, and consumers alike will benefit from this technology. It will increase trust and transparency, ease dispute resolution, result in better compliance breach detection, and consequently prevent faulty products from being delivered to consumers. Together with sensor-equipped tags and the IoT application platform, the IOTA module will become part of Kontakt.io’s turnkey offering for healthcare and supply chain. Kontakt.io has already developed a working prototype of this solution and has scheduled first commercial rollouts later this year. The next goal is to offer IOTA beacons in prototyping kits. 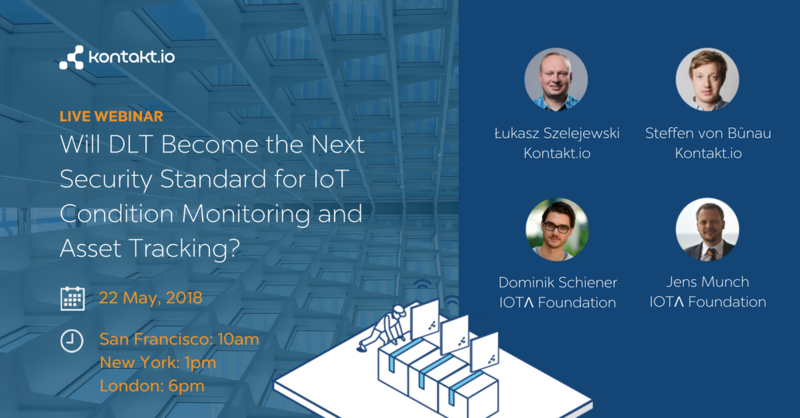 Both Kontakt.io and IOTA are going to talk about their technology as well as the future outlook for IoT and Distributed Ledger Technologies in a joint webinar on May 22nd. Sign up here to join the discussion.